I figure the Obama girls are going to be a huge focal point in the months ahead (gawd help those darlings) and self-ascribed tween “experts” will be crawling out of the media morass elbowing each other for air time and talk show gigs, so why not check in on the conversations transpiring on tween-talk hubs themselves? 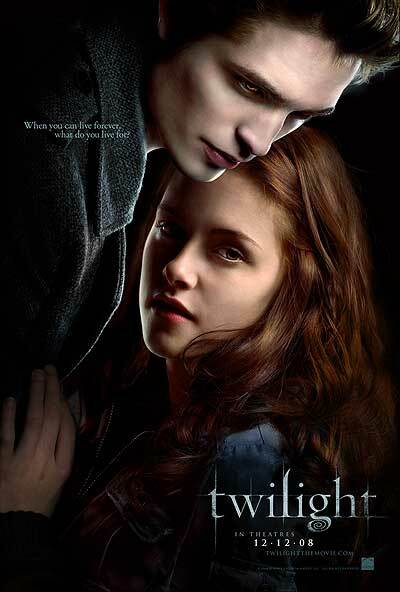 Since my tween has just turned teen, and Twilight’s $70.6 million opening weekend points to sequel city (a great big “told you so” goes to Hollywood: girls crave innuendo over carnal knowledge) I decided I’d better look BEYOND our usual tween advisory board and allied orgs (like New Moon Girl Media, Reign of the Girl Child, etc.) 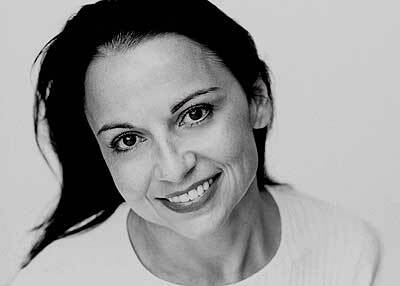 to hear what’s going on in forums/blogs much bigger than ours ‘en masse.’ So today, we’re hearing from Denise Restauri, CEO and Founder of AllyKatzz, and ‘eavesdropping’ on the intimate chatter taking place there. At 2.5million pageviews per month, be aware AllyKatzz is a research lab, (complete with street team) as well as a conversational marketing community and commercial site, which makes it ripe for analysis of “the secrets being told, and items being sold” to get a handle on what’s happening before it walks through our front door or lands in our laps…That said, it’s also a very sincere, time-capsule of what’s on the minds of the 70,000 girls in this COPPA compliant, moderated hub which draws in about 5,000 new entries every day…Raw and real, typos-n-textspeak, jargon and all! It’s got “pink think” out the wazoo and girl guitar aspirations up the gumpstump, (yes, I really DID just use those words!) with tweenage brands targeting the 12-13 year old girls that are the most prevalent voices on the site, which spans from ages 10-15. AllyKatzz: Our tween girls are really those in between two major events in their lives, puberty and getting a driver’s license. They come online to talk about everything that’s going on in their world. Girls create their own pages and profiles, send messages and virtual gifts, blab about their lives, write songs, upload pictures, report news, listen to music, rate movies and throw online blog parties. They like to be ‘first to know’ about what’s happening and spread the word online and offline. People, places, things…And they come online to make friends with girls from around the world, see the world through the eyes of other girls in other places, and to talk about what’s bothering them. As far as the changes…These girls definitely dream, and dream big- just like the millions of Americans who voted for CHANGE in this election – tween girls want to change their lives and their worlds. We have thousands of blogs about how they want to make the world a better place for people and animals. We know how concerned they are about global warming. And we know that they don’t really understand what Wall Street means, but we know how it’s impacting them (i.e., they’re going to the library vs. buying books). Shaping Youth: So what IS bothering tweens? I’ve read a lot about the Ypulse research on online anonymity trumping hotlines and sites becoming ‘confessionals’ of sorts, with secrets and stresses shared among peers…How do you moderate all that? How do you handle the load and isn’t it dicey on the responsibility front when it’s out of your core range of skill sets? And they share with us because our relationships with them are different than other blogging/social networking sites. We have relationships and 2-way dialogues with the girls built on trust (COPPA compliant of course!). As for the moderation, we hire college students to review every word and picture before posting so that it’s a safe place where ‘mean girls’ are not allowed and older girls help younger girls stay safe on the web. Since we do NOT collect email addresses, we do not have any way of reaching a girl who says she wants to hurt herself. But “Ally’s Gang” (the college students/female adults who review every word/photo before posting) will send her a shout out with info about the help hot lines we post on the site for suicide, crisis, cutting, domestic violence, etc. That’s what we do for all issues that are beyond our expertise… give the girls ways to seek help — from “tell an adult” to giving the phone numbers of the toll-free 24/7 help lines. 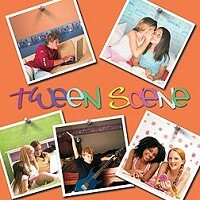 I’m actually writing a book about the whole ‘secret lives of tweens’ but can’t talk about it too much yet. 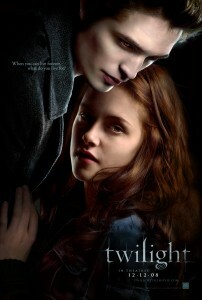 Shaping Youth: Hmn…So has the Twilight fanfest hit tweens or is this more of a teen thing? 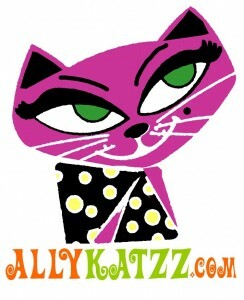 AllyKatzz: If you look at AllyKatzz TAGS on the homepage, girls self-assign any of these tags to their blogs…so you’ll see what categories they blog about most. It can change quickly…vampires wasn’t even a tag 9 months to a year ago…and High School Musical was big. Shaping Youth: Other trendcasting on the horizon? Texting still huge? Typos and all? So I’m turning over the rest of the day’s entry to Denise’s response in the form of a guest editorial! 1. Self Proclaimed (or in the following example PR proclaimed) tween experts are popping up/will start popping up everywhere… coming out of the woodwork. Below is one example – clipped from an email I received from a PR firm – FAO Schwarz has a Tween Expert that is focused on self-esteem. I tried calling FAO, looking for this tween expert… seems they can’t find him/her. 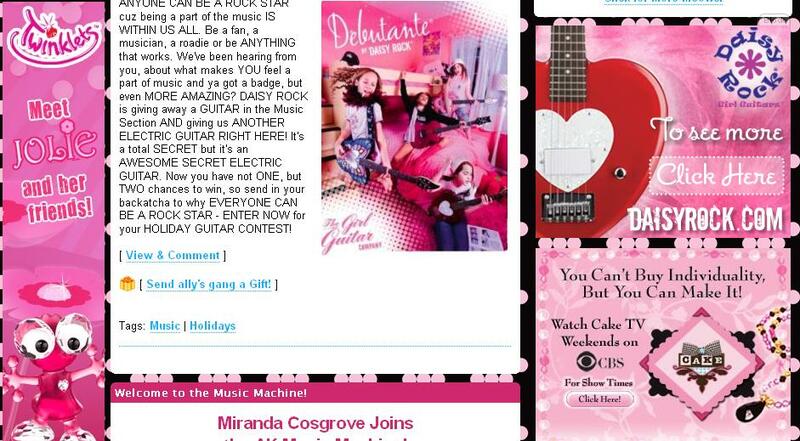 Best I can tell, the way to reach the tween expert is through the PR firm. Hmmmmm??? If FAO Schwarz is lowering themselves to this, who else is doing it? And how many more will follow? What credentials/experience does this “tween expert” have? And please, please, PLEASE do not tell me she has a tween daughter! That is a focus group of one…that you raised… dangerous. I am not opposed to marketing to tweens…they want to know what’s out there… and they want to make decisions. Ads don’t make them buy products. They are very savvy… they know what they like and what they don’t. But they need to be informed… and even better… to be a part of the process of creating the products they want and need. It’s all about HOW it’s done. 2. I agree that tween self esteem is very important. Low self-esteem leads to dating and domestic violence, eating disorders, depressions, cutting, self-medicating, drinking… and the list goes on and on. So someone tell me how these products below are really going to help girls with their self esteem? 3. What makes me a tween expert? I have read thousands of blogs posted by tween girls (we have over 4M archived posts and 5K new every day)…I have been called the “Faith Popcorn for tween girls.” My deep and expansive knowledge and understanding of what makes tween girls tick has helped everyone from start-up entrepreneurs to thousands of parents around the globe who seek a more meaningful connection to their tween daughters. We are transparent with the girls… we tell them that a company wants to know what they are thinking… and when you’re honest, you get honest feedback…and the girls love it because someone is asking for their opinion… they have a platform for their voices to be heard. 4. With the Obama girls in the White House, I am predicting that the “self proclaimed” and worse, the “PR proclaimed” tween experts will start coming out of the woodwork. Sad. We are putting up a section on the site with a White House Wall for the AK girls to write on… a place to talk about Wall Street, Main Street… or any street that impacts their worlds. We are asking the AK girls to tell the Obama girls about fun things to do in DC. We are not selling this information… we are doing it to empower tween girls from around the world… They may not be in the White House themselves, but they have “friends” there now… and a President and First Lady who need to know what’s going on in the tween girl world – there are millions in this country, and two in the White House. I found the opening paragraph particularly bleak…“promote the right values?” Excuse me? fashion design as the career choice? A $450 pricetag for the freakin’ ‘custom kit’ just to learn to use your imagination? “Rebelle by Daisy Cook Rebelle is the only handbag collection available exclusively to the tween market. The detachable handbags come with a zipper down the middle so you can share them with a friend, thus teaching girls to share and the value of friendship. You can also join the Rebelle Friendship Club and become pen pals with girls from across the world. Custom Handbag Fashion Design Kit by Imagine This With this special design opportunity, you will first receive your Designer’s Portfolio, which has everything you need to design your very own handbag, including templates and fabric swatches. Once you’ve completed your design, you submit it to the talented designers at Imagine This, who will turn your design into an actual handbag. Jump-start your passion to become a fashion designer with this drawing set. Kit comes with 12-inch wooden mannequin model, pencils, sketchbook, and more. Sketch your inspired design ideas to create a complete fashion portfolio! Just Kid Inc. just released their study on Kids As a Force for Positive Social Change with 9 out of 10 finding importance in giving back to their community or helping others. Now if marketers don’t exploit the crud out of this with brandwashing good causes to hawk stuff, then nonprofits could actually team with corporate social responsibility alliances vs. dwindling foundation dollars to create benign ‘feel good’ branding that’s a win-win! By Thanksgiving we’ll finally wrap up ‘All Things Girl’ and get back to our regular topics…(but want to remind all that we’re seeking BOYS sites and discussion on ‘Packaging Boyhood’ too, so send thoughts our way)! With the holidays coming, we’ll also be looking at kids’ consumption cues, debt and downturn redux, financial literacy sites for kids, ‘re-gifting’ using online classifieds and safety tips via Oodle, positive picks like buythechange.com in beta, Giving Tree/give card to ‘pay it forward’ and other ways of instilling philanthropy, simplifying, and family time, naturally with kids…stay tuned! Excellent post!!! Thanks so much for this insight from a REAL tween guru. 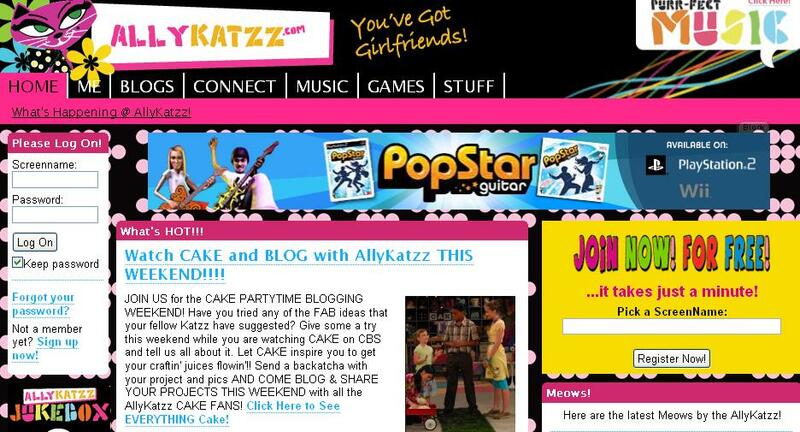 I’m a fan of AllyKatzz myself and find myself lurking the site quite a bit for a peek into what tweens are doing and how they’re thinking. Denise’s insight on “Tween Experts who are NOT Tween Experts” is really scary. It’s hard enough helping tweens navigate the wave of marketing coming at them on a daily basis. Now they’ll have to deal with a fresh crop of “experts” offering them “confidence” and “self-esteem” via their pocketbooks (oh excuse me I mean via their Rebelle handbags so they can learn the value of sharing while they’re at it…*dry heave*). Keeping parents in the loop is going to be key in helping girls understand that power doesn’t come from accessories. wow, what a great post and what food for thought…I am a way over the self-esteem conferences and workshops these faux experts are preaching about all the time, just trying to get people to sign up. It’s about time someone called them out…YOU GO GIRL! I can’t believe FAO Shwartz would stoop so low as to prey on the self esteem of tweens. I have been on AllyKatzz and really like the way they position themselves to the girls and how the girls in turn, respond. At the end of the day Denise is right, these tweens are a lot more Savvy than many give them credit for. I will be interested to see how the rest of the media reacts to the Obama girls. What a great idea Denise has about getting the AllyKatzz girls to talk to the Obama Girls. I agree tweens are savvy, but like Denise says, they’re ripe for exploitation and productization too.. Even as I start to put together my holiday gift ideas I scan the blogosphere and see these ‘stretches of the imagination’ that might qualify as ’empowerment’ only in so far as they call upon creative skill sets girls already HAVE within them! And yes, I like the way Denise is taking the high road on the Obama girls to direct the conversation toward DIALOG (e.g. outreach/curiosity about the new roles and rules of the first family, helping the tweens settle into D.C., opening up girls points of view in terms of what they want to ask, know, influence, etc.) instead of trying to ‘productize’ them to sell stuff. I’d like to hear the New Moon Girls’ queries to the Obama girls too and see how the language and tonality might differ…same with the Respect Rx crew…Girls Are Champions tweens…Hardy Girls/Healthy Women…DigiGirlz…Zoey’s Room tweens, etc. to get a multi-level snapshot of regional influences and curiosities. Denise has done a great job with AK and the community is very active, open and responsive. The kids respond to the content creativity and energy of the site AND they know that they and what they say are “safe”. Hi Hank, thanks for taking the time to comment, and glad to hear about the safety side of life, as moderation seems to be one of the conundrums of the UGC platform universally…from virtual worlds to blogs and feedback forums. I feel like a watchdog on our akismet spam filter even HERE so I can’t imagine how tough it must be to keep it safe for a kids’ focal-point site…Thank gawd for NetFamily News and other groups that feed us the scoop on what to watch for, eh?